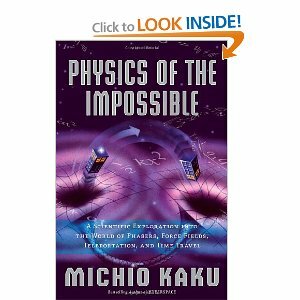 ‘Physics of the Impossible: A Scientific Exploration into the World of Phasers, Force Fields, Teleportation, and Time Travel’ explores the popular science fiction concepts in the light of hard scientific facts. In doing so the author explains scientific theories in a way that is very engaging and comprehensible for a layman. Along the way author alludes to interesting details about how the modern scientific theories developed overtime and what are current areas of research which could make the impossible possible. All analyzed concepts are categorized based on how long it might take for human civilization to achieve them if ever. In my opinion, this is a definite read for only one interested in science or science fiction.